The wantaway midfielder is wanting to move closer to his family but is arguably playing his best football since joining the Magpies. 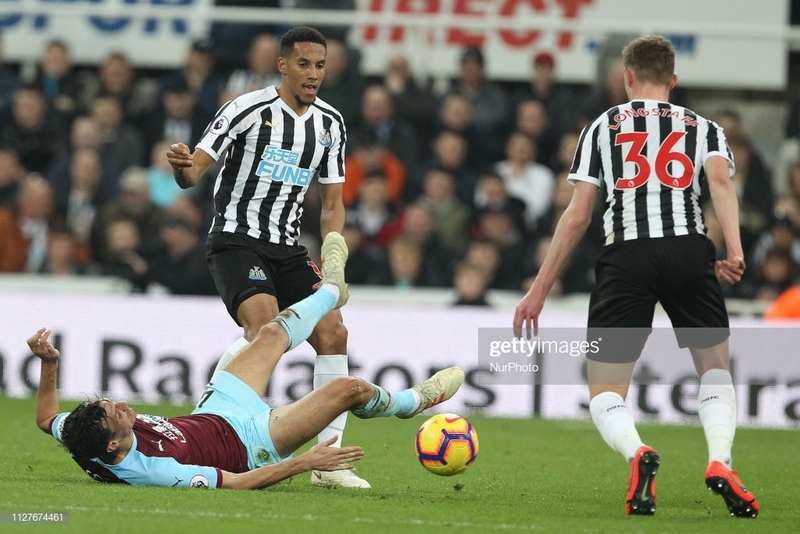 Isaac Hayden put in another superb performance for Newcastle United as his partnership with Sean Longstaff continues to flourish. The midfielder said that himself and Longstaff 'compliment each other well' in the centre of midfield. Hayden has made it clear he wants to leave the club to be closer to his family, however, since not being able to leave in the last two windows he has put in some magnificent displays. After Newcastle's second 2-0 win at St James' Park in a row, Hayden describes how it was 'vitally important' to keep another clean sheet. The Magpies have now only conceded one goal in their last four home games which shows what Newcastle's upturn in form is down to. Hayden said: "Yeah, it's vitally important to get another clean sheet. 'Against Burnley with the long balls and second ball,s I thought we dealt with it well." Hayden is enjoying one of his longest spells in the first team since Newcastle were promoted to the Premier League. This has been helped by the emergence of Longstaff who has brought the best out of Hayden and vice versa. The midfielder said: "Yeah I am really enjoying it (being in the first team). "I think we compliment each other well but we can't rest on our laurels. "We have good midfielders ready to come in." Newcastle are currently the Premier League's most in-form in the last six games accumulating 13 points scoring 10 goals and conceding only three goals. Hayden believes the squad is full of confidence since they beat fellow relegation rivals Cardiff City at home. Hayden said: "Whenever you are winning games and you are putting in good performances you're going to gain in confidence." The last few weeks have turned Newcastle's season around as they are now looking up the table and not over their shoulder. Hayden added: "As a team, we've done that (put in good performances) in the last few weeks."